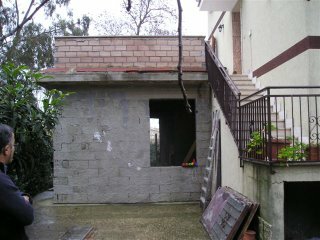 Dan & Alice Simmons are proposing a unique and substantial way to help our partner church in Ostia. The pastor and his wife, Michele and Anna Gandolfo, need to remodel a portion of their home (pictured here) to create apartment space that would give them some income and free them for ministry. This is something people in New Life Church could really help with. You can read the Simmons' full proposal here.